Tucked away between the Apennines and the Adriatic Sea on one side and San Marino and Ascoli Piceno on the other, the Marche region forms a patchwork of old towns, hill country and sandy beaches. 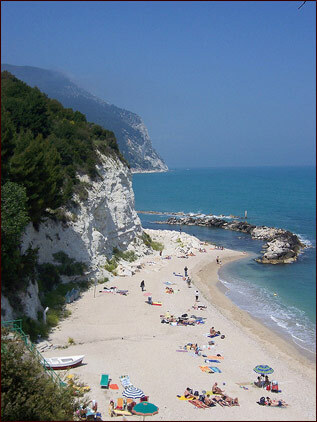 For nature lovers, the Conero regional park and Riviera offers beautiful landscapes of unspoiled land. The landscape is not just stunning above the ground, but also underground. as can be seen in the Frasassi Caves, the largest cave system in Europe. 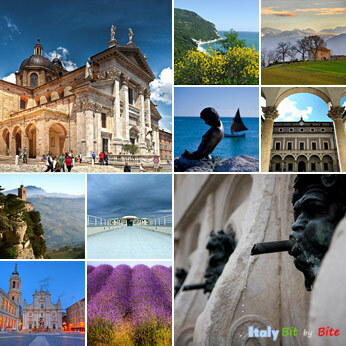 Like for Tuscany and Umbria, one of the best ways to visit the Marche region is by driving through the inland, visiting smaller hilltop towns and exploring areas where there are virtually no tourists. The region is rarely overcrowded and up in the mountains breezes ensure a pleasant temperature even in July and August. Grotte dei Frasassi and its cave chapel, one of the most unusual chapels in Italy. Photos (top to bottom): Marche collage: Ancona fontana and Penelope Senegallia by Andrea Sartorati, Conero by albertobignami.net, Palazzo ducale by syder.ross, lavender by Luca Boldrini. 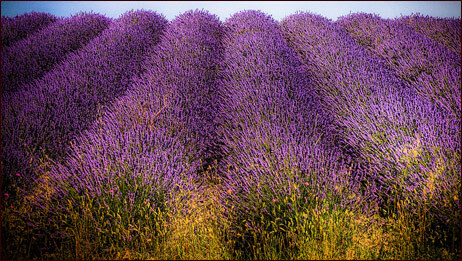 However, if you appreciate the natural colors of spring or autumn, May, June and September are the best months to visit Le Marche. From mid-February to end of April and mid-October to end of December the whether can be quite rainy, especially in the mountains and temperatures can fall abruptedly, especially when the bitter northerly tramontana winds blow. 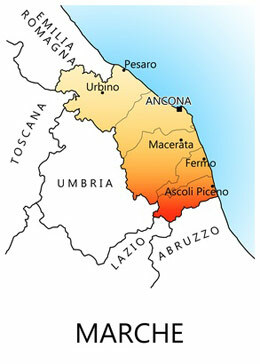 Parco del Monte Conero and Riviera del Conero, with its beautiful beaches spiaggia delle "due sorelle", spiaggia di "San Michele", spiaggia "Urbani" and spiaggia di numana alta "La spiaggiola". San Michele beach, Sirolo. Photo by Frenzis.